Another addition to Sony's new line of Xperia "NXP" handsets, the Sony Xperia Sola looks like a straightforward mid-market smartphone, but it has one interesting and unique feature with the screen that we will come to later. Fitting in between the Xperia P and Xperia U, the seemingly randomly-named Xperia Sola has a 3.7" 480 x 854 pixel display, a 1GHz dual-core processor with 512MB of RAM, 8GB of internal flash (5GB is user accessible) plus a microSD slot, a 5 megapixel camera with 720p HD video recording and fast capture (but no mention of a front-facing camera), an FM radio, Bluetooth, GPS, WiFi and 3.5G support plus all the usual Android features. Out of the box the Xperia Sola will run Android 2.3 with an upgrade to Android 4.0 promised shortly during the summer. This is a bit annoying as (in our view) manufacturers should really be shipping with 4.0, rather than forcing users to do a major upgrade just after the have received the phone. Sony have included all the usual Xperia add-ons with the Xperia Sola, and because this is a Sony then users have access to Sony's own content network for music, videos and games. The unique selling point with the Xperia Sola is the display, which allows a user to "float" their finger above the screen while browsing which acts like a cursor. When the correct link is selected, the user just taps the screen. This sounds like an interesting idea, because web browsing can be tricky even on a big screen phone. The display also uses BRAVIA technology for improved image quality and has scratch resistant glass. One other interesting feature is the use of NFC SmartTags to alter the behaviour of the phone. The default configuration for these is "bedroom" which turns on the alarm and mutes the ringer and "living room" that turns on WiFi and loads the news and weather. You can reconfigure the tags if you like, or you can buy other tags for tags for other applications. 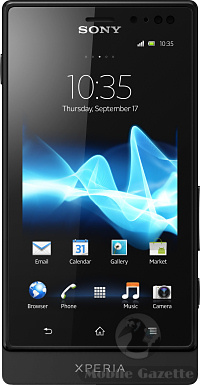 The Sony Xperia Sola is a relatively lightweight device, coming in at 107 grams and measuring 116 x 59 x 9.9mm. Inside is a 1320 mAh battery quoted as giving up to 5 hours talktime and over 19 days standby time, although as ever actually using your Android phone will drain the battery more quickly. The floating cursor feature and the NFC SmartTags raise the Xperia Sola from being a dull mass-market smartphone to something a bit more interesting. And although the Sola lacks the stunning looks of some other devices in the new Sony Xperia range, it is still quite a smart device that will be available in black, white or red colours. 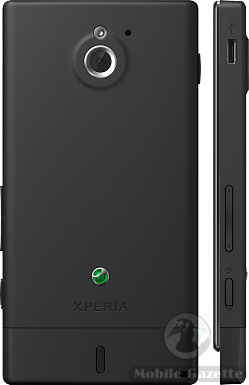 Sony say that the Xperia Sola should be available during Q2 2012. No guidance was given on price, but we would expect the Sola to retail for between €300 to €350 SIM-free at launch.